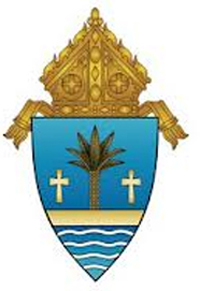 The following is the Safe Environment Policy of the Archdiocese of Miami. Complete the appropriate criminal background process and receive clearance from the Office of Safe Environment. Complete the Pledge to Promote Safe Environment and Virtus training. Covered Volunteers are required to complete the Pledge to Promote Safe Environment and Virtus training. There is no cost to the individual for any of these requirements, as long as the person is affiliated with an Archdiocesan entity.